They're Here! Buy Your Mini Trump Baby Balloon Today! | What Can I Do? / They’re Here! 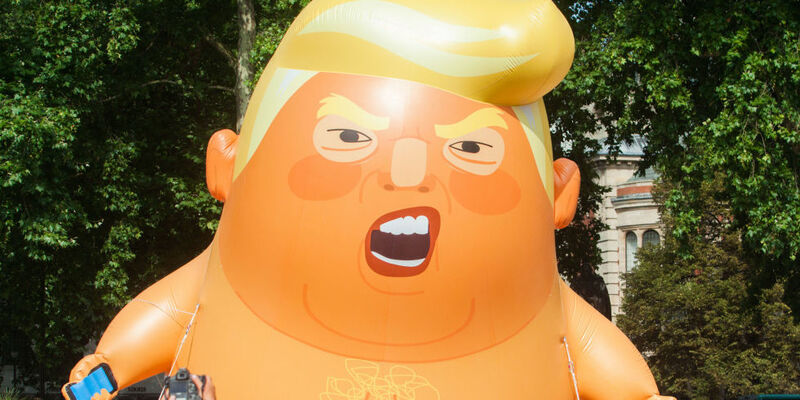 Buy Your Mini Trump Baby Balloon Today! Trump apparently commented that he felt “unwelcome” recently in London. Perhaps it was the 250,000 protesting against him, but it might have been the enormous balloon that looked like a fat Trump baby. Claude Taylor, founder of Mad Doc PAC, which usually creates anti-GOP billboards and banners, is betting that the Trump balloon sends a clear message. That’s why he’s had his PAC create a three-foot version of the balloon, which costs less than $20. They’re available starting today!